Connecticut’s governor for the next four years will face a wide range of challenges to improve the state’s public schools. The CT Mirror spoke with the candidates about how they will approach education policy. For our final installment, here’s Oz Griebel, an independent petitioning candidate. Read Democrat Ned Lamont’s plans here and Republican Bob Stefanowski’s here. With the state’s finances heading for a fiscal iceberg, Oz Griebel says he has to be realistic when it comes to funding schools. “Don’t count on more municipal aid because I don’t see where it comes from,” warned the former Republican who is running for governor as an independent. This tell-it-like-it-is politician isn’t very well known among Connecticut voters. Just 7 percent of the likely voters Quinnipiac Poll surveyed last week said he was their favorite candidate in the race. It has not shattered his confidence. 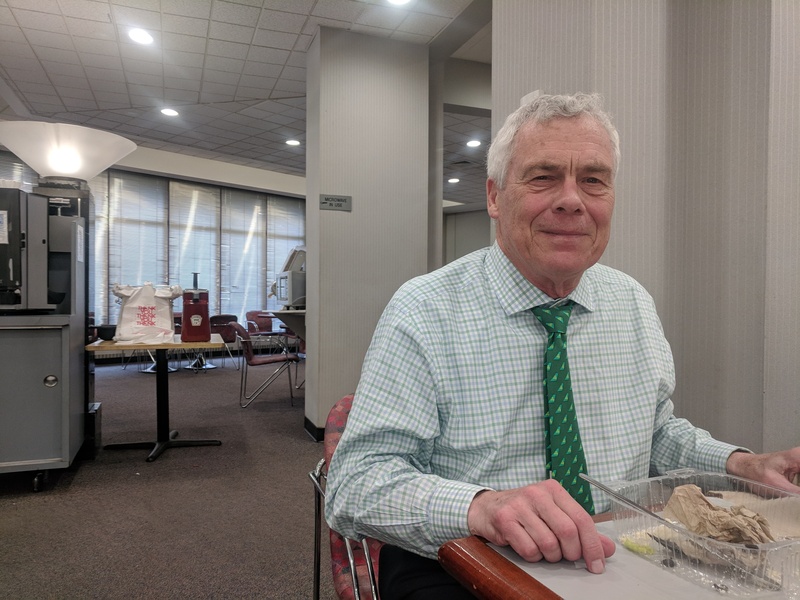 “I can’t wait to work with you the next four years,” he said as he greeted familiar faces while eating lunch during an interview last week in the cafeteria at the state Capitol complex. 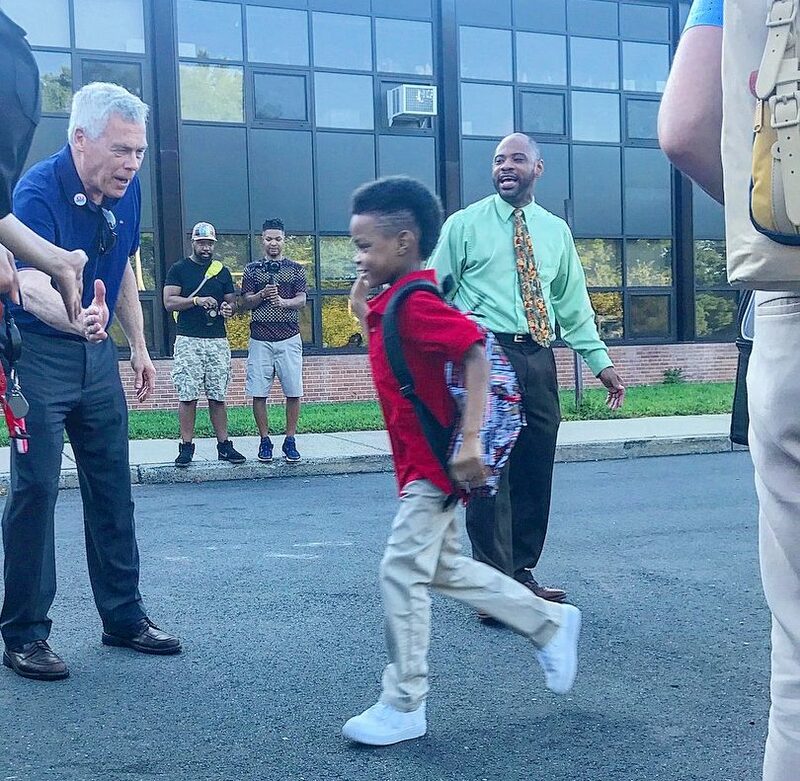 Griebel – who led The Metro Hartford Alliance, a regional chamber of commerce, for most of the last two decades – has many ideas to shake up education that he thinks he and his running mate, who used to be a registered Democrat, can get through the legislature. He has ruled out one thing since he knows it has zero chance – moving to a county government system. Here are five things to know about Griebel’s plans for education he thinks have a shot, if he’s elected governor. The state budget this fiscal year is slated to provide cities and towns with $4.3 billion to help with their operating costs. About 85 percent of this aid helps pay for various educational expenses; including special education, adult education and after school programs. The largest chunk (just over $2 billion) are the Education Cost Sharing grants that the state sends municipalities to use as they wish. Griebel wants to change this funding setup. “Just doing the same old thing and making sure ECS is done fairly, whatever fairly means, that’s not how you are going to get at this issue,” he said. The state is facing a $2 billion shortfall next fiscal year – and even larger fiscal problems in the following years – and so Griebel believes lawmakers need to become fiscally savvy to ensure schools are not harmed by the inevitable state cuts. 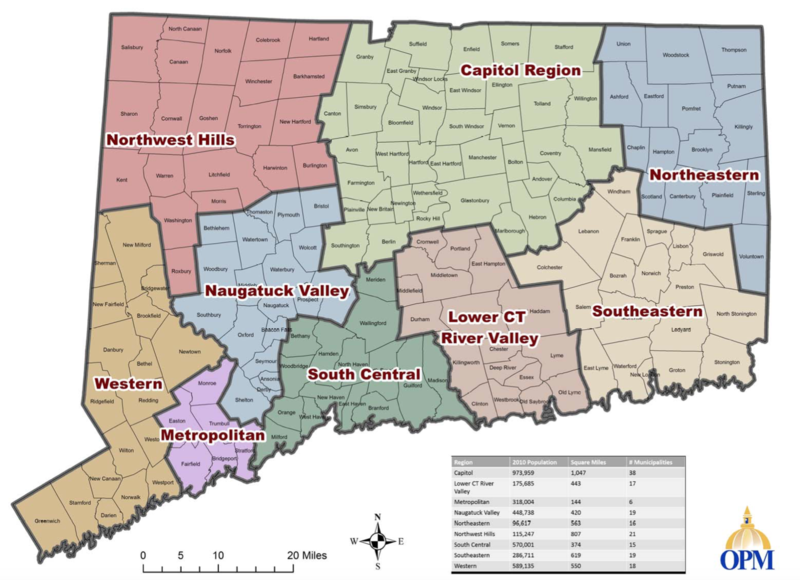 Connecticut has nine Council of Governments (COGs), which in theory are regional governing bodies that have representatives from the participating communities. Small budgets for the COGs have stifled efforts to bolster regional cooperation. So too has the reality that the flame of regional partnerships doesn’t burn brightly in town-oriented Connecticut. Some towns, often suburbs, don’t trust other towns, often cities, and thus are reluctant to work together, a problem the CT Mirror explored in a series earlier this year. Griebel wants to bolster these regional bodies by sending them a large share of the municipal aid that now goes directly to municipalities. Only towns that regionalize services would have access to that money. He wouldn’t force any towns to participate, but sees using state funding to incentivize regionalization as a better use of state money. He points to Connecticut schools spending significantly more per-student on education than other states as proof that regionalization is overdue. 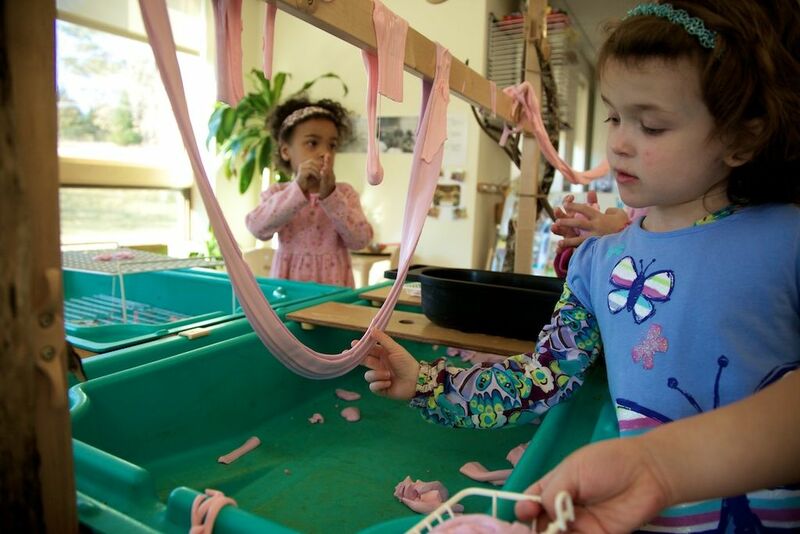 Each year, about $20,000 is spent per student in Connecticut compared to the national average of about $12,500, according to data compiled by the U.S. Department of Education. “I think that has to do with some of the proverbial 169 towns that we have to deal with in the 161 or 162 school districts, and whether the dollars are going into the classroom as opposed to into administrative overhead,” he said. During the 2016-17 school year, 60 school districts in Connecticut enrolled fewer than 1,000 students, but almost all of them already have regionalized their middle or high schools or both, and 22 districts have only a part-time superintendent. There might not be much incentive among many of these small districts to regionalize. Research released by the State Department of Education in 2013 showed that the majority of high-spending small school districts in the state did not spend more because they were small but because they were among the state’s most affluent and had the resources to do so. The higher per-student spending was “not necessarily the result of being small, but one of ability and choice,” the state found. The state provides minimal aid to most of these small, well-to-do towns. But for towns that do rely on state aid, Griebel thinks shifting how aid is provided is overdue. “What I am pushing hard on is that there are a lot of smart people in this state. And if you can give town leaders money to think and operate … differently, I think they will come up with ideas. Right now the fight is [over] how much money [they] get,” he said. In an effort to provide black and Hispanic city residents attending segregated schools a high-quality education in an integrated school, the state has opened dozens of regional magnet schools over the last two decades. The schools in the Hartford region that draw suburban white students to go to school with minority city youth were opened in response to the landmark Sheff vs. O’Neill decision, in which the Connecticut Supreme Court ruled that minority children “suffer daily” from the inequities caused by severe racial and economic isolation. Griebel said because neighborhood schools have been overlooked too much in pursuit of opening diverse magnet schools, he would not push to open additional magnets, if elected. He said he prefers to focus his energy on having high-performing neighborhood schools – something he believes most parents prefer. Thirty-one percent of Hartford’s black and Hispanic students attended integrated magnet schools with thousands of suburban students last school year. The outcomes of students from low-income families are starkly different, depending on if they enroll in a magnet or the neighborhood school they are zoned to attend. Just 20 percent of Hartford’s students from low-income homes reached grade-level on the state’s standardized English test last year – compared to 35 percent in CREC’s magnet schools. Statewide, 35 percent of students were at grade level in reading and writing. More than half of Hartford’s students are multiple grades behind. “Sheff vs. O’Neill was intended for the right purposes, but it is under the heading of the way to hell is paved with good intentions. Have we just created more of a problem for ourselves,” he said. One way to help struggling students would be to extend the school year and the hours students attend each day, Griebel said. Essentially, children need to be in school more if they are to learn more. But extending the school day and year would be costly – and the state budget in recent years has significantly cut the grants that helped the state’s lowest-performing districts stay open more hours. Griebel said he would do all he could to extend the amount of hours students are in school. “I’d argue for a longer school day, depending on costs obviously,” he said. If schools are to improve, the state needs to ensure students are learning certain things before they move to the next grade, he said. Requiring such skills to advance grades is controversial. Despite a superior court judge in 2016 concluding that students are being awarded “diplomas but without the education we promise them,” state legislators passed legislation loosening graduation requirements. Legislators have repeatedly put off implementing tougher graduation requirements after adopting them back in 2010 as the state was competing for federal Race to the Top funding. Graduation rates in struggling school districts have been rising for years, but among the 72 percent of Connecticut students in the Class of 2010 who went on to college, at least 22 percent had to take non-credit courses to learn reading, writing or math skills they should have acquired in high school. 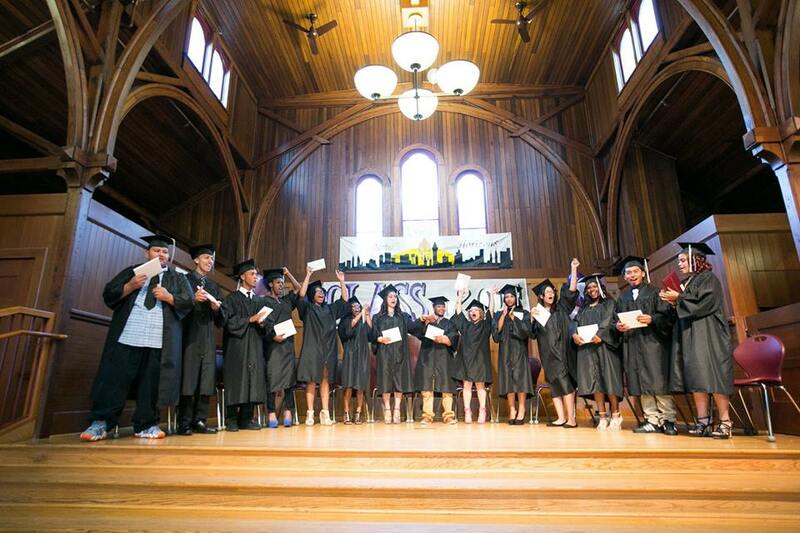 Among the 58 percent of Bridgeport’s Class of 2010 who went to college, at least half had to take a remedial course. It’s unclear whether things have improved along with the graduation rates since then, because the state has not made public the updated data. One of Connecticut’s fastest growing expenses are its required contributions to the state’s teacher pension fund as the state works to chip away at its $13 billion in unfunded liabilities. Griebel wants to put off payments to the fund while the state sorts out its finances, but not retreat from the promise that the state will still provide teachers a pension when they retire. “We need a little breathing room,” he said. He would not ask teachers to contribute more to shore up the fund, and instead would seek to dedicate a portion of the state’s lottery and securitize state buildings to strengthen the fund. In return for the state continuing to pay the full cost of teachers’ pensions, Griebel wants the state to take over negotiating these benefits. Currently, each district negotiates its own teacher contracts.